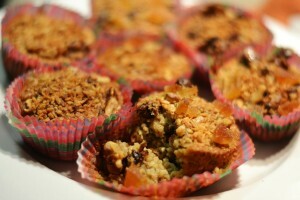 I love these simple, omega-3 rich muffins. They taste healthy and wholesome. They are high in iron, low in sugar, and easy to make. 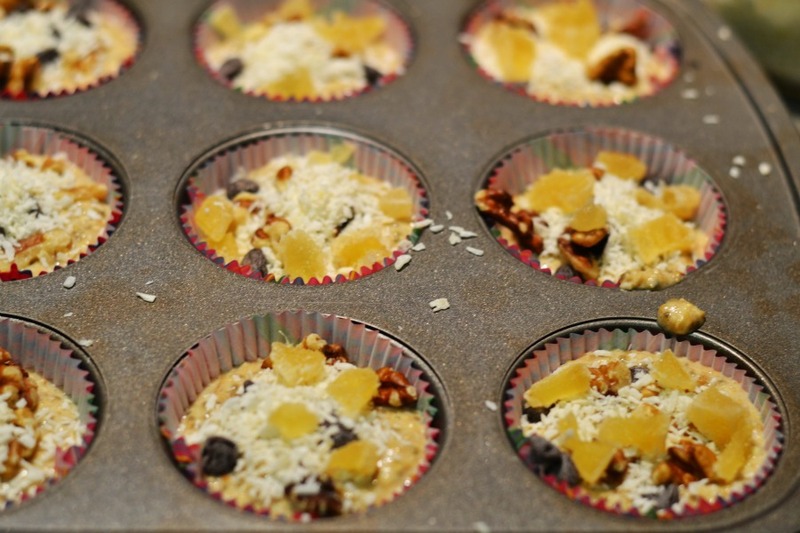 Power-packed & nutrient dense, these muffins are a perfect breakfast, post workout snack, or on-the-go energy blast during a busy day. Because the steel oats are soaked and the ingredients are simple, they are easy to digest and assimilate. The recipe is quick and I highly recommend sprucing it up with your favorite toppings and spices. I like to add natural candied ginger, cardamon, nutmeg, dark chocolate, and walnuts. Zingy toppings like cranberries, orange zest, and pine nuts would be awesome too. Combine drained oats and all ingredients except toppings in a bowl until well mixed. Line muffin tray with paper cups. Fill each cup 2/3 full with batter. Press toppings into batter. The muffins won’t rise much, so feel free to fill to brim. Bake for about 45 mins. Yields 24. approx 115 calories per muffin, 6 grams of protein, 6 grams of fat, and 3 grams of sugar prior to toppings. 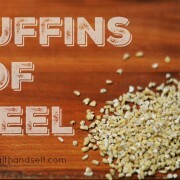 Enjoy lots of energy after eating a couple Muffins of Steel. This recipe is reproduced from Balance for Busy Moms and was created by Lisa Bakosi.